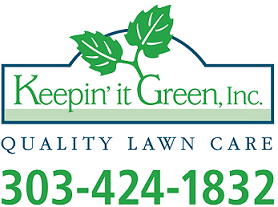 10 Tips to Keep in Mind When Hiring a Lawn Care Company - Keepin' It Green Inc.
A healthy and beautiful lawn is the desire of almost everyone homeowner. However, it takes a lot of effort to take care of a lawn. Most of homeowners don’t have the time and experience to take due care of their lawns. Therefore, it’s a good idea to hire a quality lawn care service. If you have no idea how to choose to a good lawn care service, we suggest that you follow the 10 tips given below. With a bit of research, you will find that there are a lot of providers out there. Some of them may be better than others. You can carry out the comparison by searching online. You may want to follow your gut. If a company has tons of bad reviews, it’s a sign that the company is not worth hiring. It’s also a good idea to ask neighbors about a good lawn care service. The lawn care service should be licensed by the local authorities. It’s important to note that an unlicensed provider may be inexpensive, but they may not be able to offer professional services. Another important thing is that the provider should be insured. Insurance will give you peace of mind that you won’t be held responsible if a company employee or workers gets injured while working. Is the service provider member of a national or provincial trade organization? Actually, a service provider that is associated with an organization provides dedicated services. Now, you need to keep in mind that customer service is of great importance. You may want to hire a service provider that is to communicate with. They should be able to answer you queries in a timely fashion. You may want to find out if the company you are going to hire takes good care of its equipment. If their equipment is in bad condition or out of order, we suggest that you look for some other provider. You should do your research and find out the type of contracts you will have to sign with the company. Is it an annual contract? Make sure the contract is written not verbal. Does the provider offer money back guarantee in case of unsatisfactory service? It’s a good idea to ask for a quote. It’s not a good idea to trust a provider that gives a quote without taking a look at your lawn. Aside from this, you may also want to find out about the payment plans that they offer. Will they charge you for service calls? Before you look for a good provider, you may want to decide on what you actually want. You should keep in mind that every provider offers different services and techniques. At times, hiring a lawn care service based on online reviews is not a good idea. If you have no idea about the reliability of a company, you may want to ask for references.